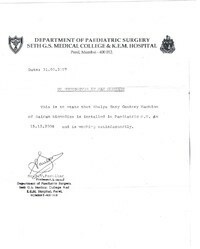 We have Department of Paediatric Surgery Seth G. S. Medical College & K. E. M Hospital certificate. We have Brihanmumbai Mahanagarpalika B. Y. L Nair Ch. 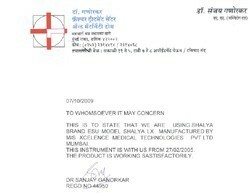 Hospital certifucate. 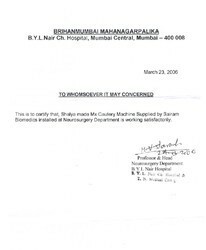 We have Neuro Sciences Centre - All India Institues of Medical Sciences certificate. 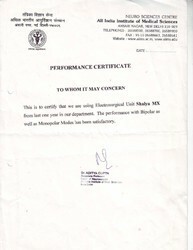 We have Indorewala ENT Hospital certificate. 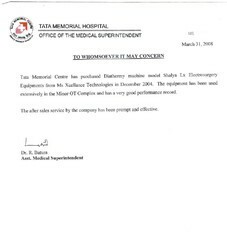 We have Tata Memorial Hospital certificate. 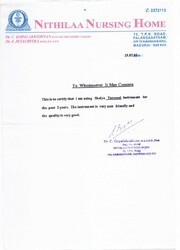 Dr. Sanjay Ganorkar has given testimonial certificate. 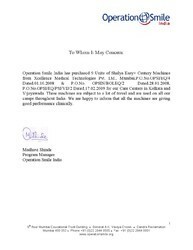 We have Operation Smile India certificate. 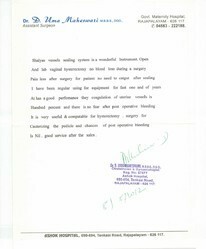 Dr. N. Gopalakrishnan M. S.
Dr. N. Gopalakrishnan M. S. has given testimonial certificate. 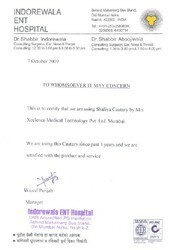 We have Nithilaa Nursing Home certificate. 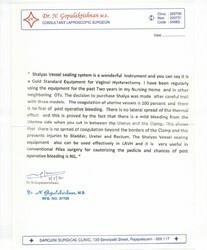 Dr. Laxmikant D. Ladukar - Ladukar Hospital has given testimonial certificate. 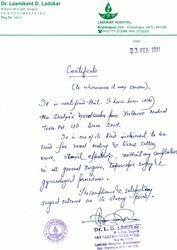 Dr. D. Uma Maheshwari has given testimonial certificate. We have Fortis Flt. 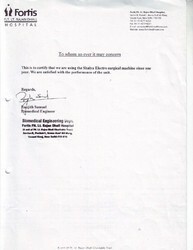 Lt. Rajan Dhall Hospital certificate. 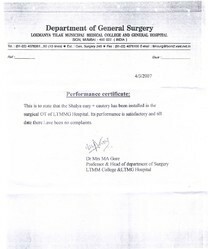 We have Department of General Surgery - Lokmanya Tilak Municipal Medical College and General Hospital certificate.